I love The Witcher 3, so I’m the exact person this DLC was made for. I was at first skeptical about the concept of adding yet another ending to the Witcher 3 story. The original game, and the first DLC, Hearts of Stone, already covered so much ground that it seemed a difficult prospect for this story to add anything substantial. But Blood and Wine won me over. This is the best ending you could hope for. A great strength of the Witcher 3 DLCs is they’re self-contained stories, with their own story arcs separate from the main game. You could easily play these DLCs without touching the main game. Because of The Witcher being based on a series of books, these DLCs feel like short stories or separate books. This is sort of how the main game treated side quests. They were all small stories of their own, which fit well into what the game was trying to do in conveying the life of a witcher. Because of how self-contained these stories are, the first DLC stood out a bit, as it didn't perfectly slot into the main Witcher 3 campaign. Even if you played it after the main game, or during it, it was palpable how it was its own separate thing, that almost would've worked better as a standalone game. In this second DLC though, more of an effort is made to justify it being a part of the Witcher 3 package, though it could also easily have been a standalone expansion if they felt like splitting it up that way. Blood and Wine introduces a new map, with a markedly different art style from the original, full of new characters, side quests, weapons, armor etc. It’s inspired by the south of France, full of beautiful vineyards, and rustic villages. They’ve nailed the look of how weathered the buildings look, and the slightly rickety architecture. It’s very nice, apart from one detail. Most of the main quests in this area take place at night, so it’s hard to see any of it! Luckily the plentiful side quests allow you to enjoy the views at daytime. It’s clear with how the story unfolds the developers are very familiar with all the conventions of The Witcher. Everything you’d expect is here: detective work, monster hunting, dark fairy tales brought to life, going to parties, tragic romance, family drama, etc etc. It’s all done at the same level of production value as the main game, with hardly any evidence that this was made in just a year. There are only a few things missing I would've liked to have seen more of, like new hairstyles and beards. As silly as that request might sound, it matters when you're trying to convey the feeling of visiting a new foreign culture! The original Witcher 3 main quest took place in a war-torn country, full of filthy peasants, bandits, and misery. Blood and Wine has a very different setting, where everyone from the lowest in society, all the way to the top, act in a more sophisticated manner. When peasants hurl insults at you here, they call you a “sheep diddler” instead of “sheep fucker”. Beyond the language, the customs and beliefs of this land are different, where people genuinely believe in chivalry, honor and so on. They haven’t had to go through the kind of hardship that eroded those kinds of ideals in other areas of the world. There are poor areas in the main city, and there are cynics around. But it isn't to the same soul-crushing extent as in the original game. This makes quests feel very different, and have twists that could only exist in this kind of setting. At the core, the stories touch on the same things as the original, like romance, family, curses and so on. But in this setting, they play out in a way that effectively builds this world as a more naive, cultured, and playful place, with its own rich history from the rest of the world. The depth of the lore present here was a pleasant surprise. It absolutely felt worth playing all the side quests, as they consistently revealed new delightful details that made the setting come alive. Even at its worst, this game is better than most other fantasy RPGs. That said, it’s not without glaring faults. The clearest one being the combat system. If you play Blood and Wine, you will most likely be a high-level character, with maybe upwards of a hundred hours invested in the game. At this point, the entire level system feels pointless. You have all the skills you could want, and all you’re doing is incrementing their power. The boss fights do a good job of creating new kinds of challenges you haven’t seen before. But against normal human enemies and animals, you’re just going through the motions. It’s clear the game is aware of this, as quests lean heavily on dialog to solve them. Most of the main quest in the DLC consists of lengthy cutscenes, where you’ll gain levels without having fought anyone. Thankfully the cutscenes are well made, with loads of different camera angles that switch around often enough to avoid that awkward amateur film feeling games often fall into. The main story revolves around vampires, which haven’t been seen that much in the other Witcher games. Their lore is much more interesting than I expected, as they have a dark almost Nazi like history in this world. As always in The Witcher, the monsters you meet are at their core driven by similar needs and emotions as humans, which makes them all the more tragic when they have monstrous qualities they can’t control. This human quality makes them more interesting than monsters tend to be in other games. It’s a markedly different level of class compared to other AAA RPGs like Skyrim or Dragon Age: Inquisition which don’t aim for any kind of depth in their storytelling. Like, in Blood and Wine most scenes have things like subtext and thematic resonance going on beyond the surface. It’s gratifying to see that high budget doesn’t require that those things have to go by the wayside in favor of spectacle. Here you get both, without the game losing sight of what truly makes something feel meaningful and important. There's only one sequence in the main story I felt a bit dissatisfied with, as it was simplistic compared to the rest of the game. But on the whole, that bit was a drop in the bucket, compared to the sea of awesome that surrounded it. When you eventually get to the obligatory big action finale, the level of drama feels earned. It carefully builds up to that moment, with stakes not only being clear and understandable, but also having multiple levels of complication to them, making it unpredictable and exciting to see how it's going to play out. What's also gratifying is how it takes its time to wind down after the action is over. You aren't thrown into an end credit sequence after a lame cliffhanger ending, which is way too common in AAA games. This game assumes you care about the characters and their lives, so it takes its time to give you closure. It doesn't overdo it like Metal Gear Solid 4, but it also isn't chomping at the bits to get it over with like Bioware games do. It hits the right balance, where you're misty eyed to say goodbye, and not impatient to leave. 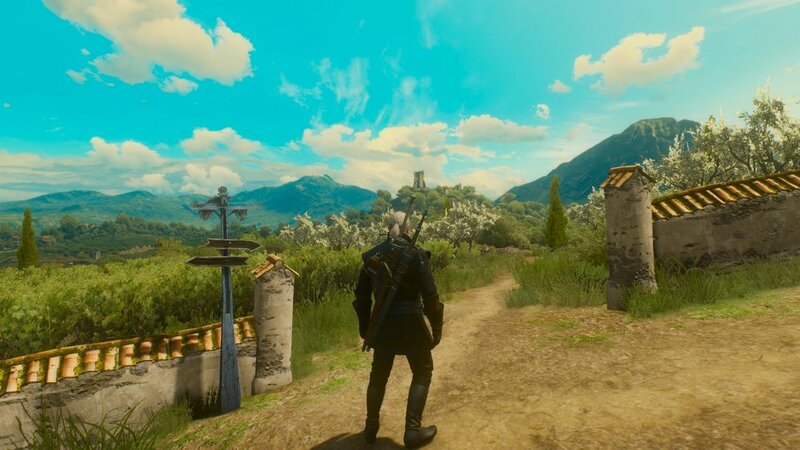 Blood and Wine is super easy to recommend. Same with the first DLC. 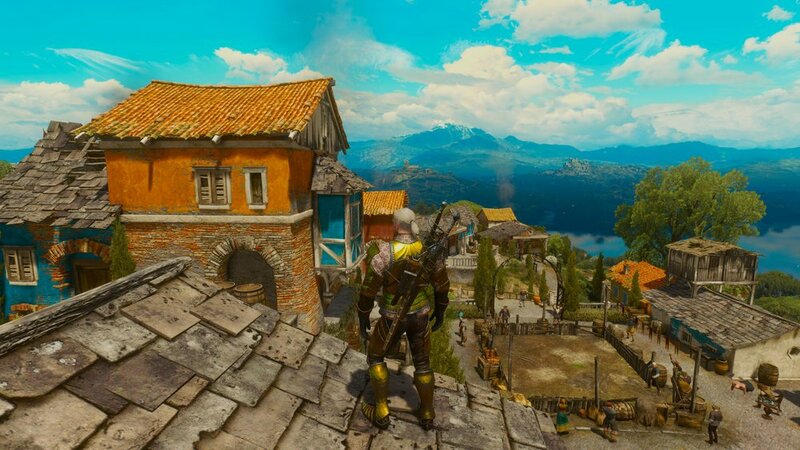 Both are like concentrated versions of the main game, where you get to experience all the high points that a Witcher story contains, all in a smaller package. It’s the best argument in favor of “I liked that game, why doesn’t someone just make more of that”. There are entire games I would skip in favor of playing the Witcher 3 DLCs. That said, I'm glad CD Project Red are now moving on. They gave it a great ending in the original campaign, and now they've given us yet another great ending. I loved it, but enough is enough.